Stetson Troy Tuff Fowler, 18, of Dillon, passed away Monday, April 8, 2013, in Driggs, Idaho. Stetson Fowler was born May 29, 1994, in Idaho Falls, Idaho, to Troy Larry Fowler and Rachelle Diane Loucks Fowler. He was raised and attended schools in the Sugar City, Salem area. He attended and graduated from Summit High School in Frisco. Stetson worked as an auto mechanic for Summit Ford and Hudson Chevrolet in Silverthorne and Teton Motors in Driggs, Idaho. He also coached middle school wrestling in Summit County for two years. Stetson was a member of The Church of Jesus Christ of latter-day Saints, he enjoyed dirt biking, snowboarding and spending time with his sister, Miquala. 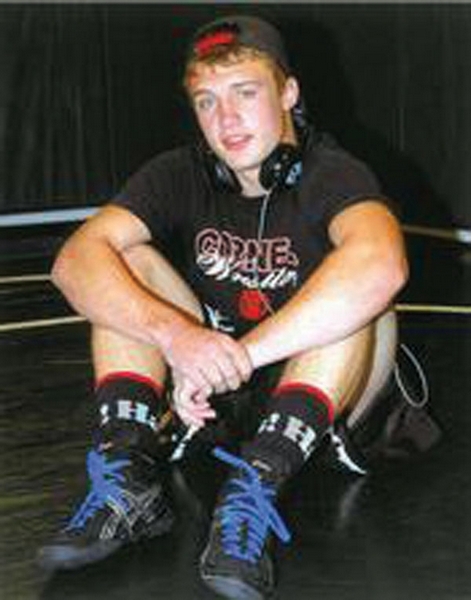 He was a talented wrestler, placing second in the nation in Greco-Roman Wrestling in the 128 class. Stetson touched a lot of lives during his short stay on earth and will be deeply missed. He is survived by his parents, Troy and Rachelle Fowler; sister, Miquala Fowler, all of Dillon; grandparents, Larry and LaRue Fowler, of Hurricane, Utah, Bob and Karen Loucks of Billings, Mont., and Daniel and Donna Draper, of Rigby, Idaho. He was preceded in death by his grandmother, LaRue Fowler. Funeral services were held April 13 at Teton River Ward LDS Chapel in Salem, Idaho. Burial was in the Parker Cemetery, services were under the direction of Eckersell Memorial Chapel in Rigby.